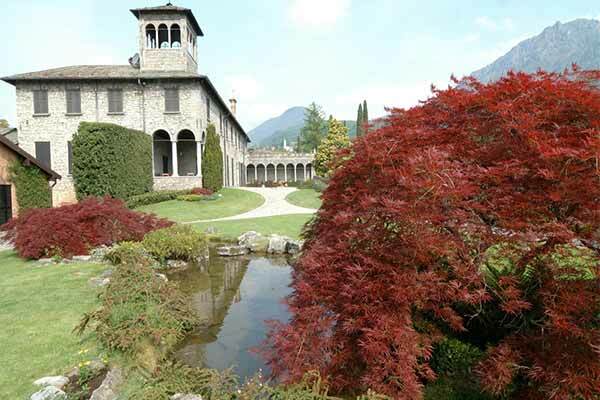 Guided visit of Villa Bagatti Valsecchi, in the ancient village of Cardano, located on a beautiful hill above Lake Como, about 5 minutes from Menaggio. The house, still owned by the Bagatti Valsecchi family, better known for the museum of the same name in Milan, is presented as a nineteenth-century structure characterized by an intact romantic atmosphere of the past. The visit will be articulated to the discovery both of the interior furnishings of the time, and of the beautiful terraced gardens to precipice on a deep ravine crossed by the Sanagra stream. We recommend shoes and comfortable clothing. The gardens and the pinewood are structured on several levels.